Lead-based Paint Testing - Penoco, Inc. So, tell me about lead. Lead is a naturally occurring metal found in the Earth’s crust that was used because of its abundance and low cost. Before 1980, lead and its compounds were used in many items such as paint, pipes, gasoline, batteries, and cosmetics. In the United States, it is most commonly found in lead paint, contaminated soil, drinking water, and glazed pottery. Homes that were built prior to 1978 have a high chance of containing lead in the interior and exterior paint, along with having lead materials in their plumbing system. There really is no safe level of lead exposure. A limited or reduced exposure to lead (resulting in blood lead levels up to 5 micro-grams per deciliter) has shown a decrease in kidney function and in children, an increase of ADD and ADHD, along with a decrease in IQ and academic achievement. Created for good, no one knew how dangerous I would become. Higher, persistent levels of exposure to lead (resulting in blood lead levels above the 5 micro-grams per deciliter) can lead to increased blood pressure, hypertension, and tremors. In children, these elevated blood lead levels can lead to delayed puberty and a decrease in IQ and hearing. How does Penoco test for and remove lead? Testing for lead can be a detailed process, as it can be present in paint, soil, dust and even water. Using x-ray fluorescence (XRF) portable detectors, we can measure lead levels on painted surfaces. If needed, samples of paint can be sent away for lab testing where they can further analyze the level of lead present. The best way to test for lead in water is to collect samples directly from the faucet; one from water that has been left standing in lines for a period of over eight hours and the other from new water taken after flushing the lines for several minutes. After being collected, the samples are sent away for lab testing. If found necessary, soil samples from around the home and dust particles collected by wet wipes, can also be sent away for lab testing. While Penoco does not usually perform lead abatement, we have teamed with a group of certified professionals to work with, creating a complete remediation process. These professionals use four different methods to reduce lead exposure and remove lead-based paint currently present in your home. 1Enclosure: Covering lead paint with a flexible wall covering, paneling, or gypsum board. This method works best on large, flat surfaces that are not generally subject to friction. 2Removing the Paint from its Source: While this method sounds fairly simple, it often creates a large amount of dust and toxic fumes, so it should always be left to professionals. 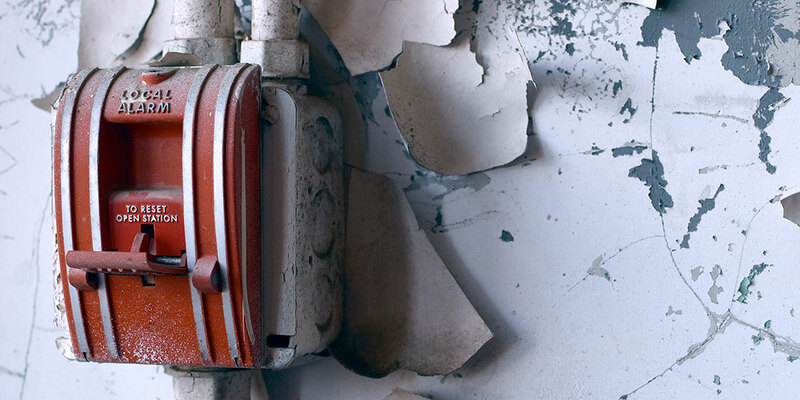 3Removing and Replacing: One of the most popular methods is removing the lead paint coated object and replacing it with another, such as doors, windows, and molding. 4Encapsulation: Lead paint is covered and sealed with a special coating. While it is less expensive than other methods, it is not suitable for surfaces subject to friction. In order to remove lead in household dust, a HEPA filtered vacuum cleaner is used, followed by cleaners specifically made for lead. In order to remove lead in water, either a port of use or port of entry filter can be installed. Finally, if lead is present in soil, the soil can either undergo a chemical wash or can be excavated down to roughly four feet. Call us today at 855-312-3642 for a free consultation. If you are interested in our lead-based paint testing services and would like to learn more, call Penoco today toll free at 855-312-3642. The friendly, knowledgeable team at Penoco would love to answer your questions.